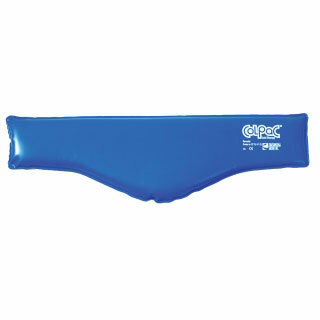 Chattanooga ColPac Cold Therapy 23"
The Blue Vinyl Colpac® is a reusable cold pack, excellent for use in cold therapy. Each pack is filled with non-toxic silica gel that remains pliable during treatment, and can be used for up to 30 minutes at a time to reduce acute pain, swelling, and fever. To recharge the Blue Vinyl Colpac®, place it in a chilling unit or a freezer. Filled with a bentonite and glycol blend to keep from freezing solid.